Actress Ahn So-hee has updated fans with her latest picture. On June 28, Ahn So-hee posted a photo on her Instagram, with a brief message, "18. 06. 27". 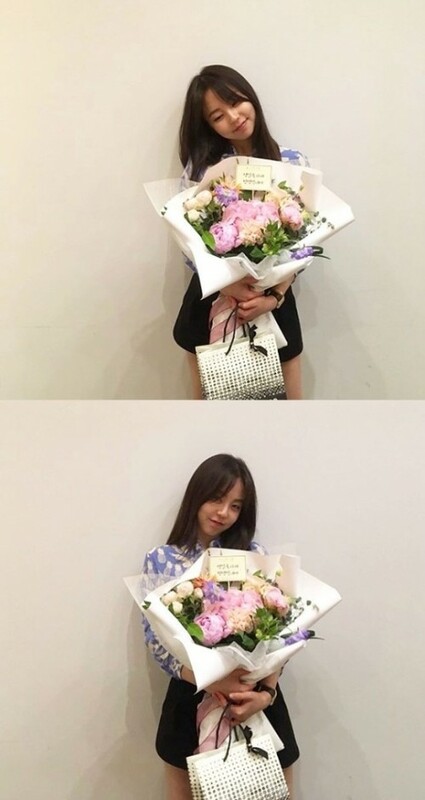 In the picture, Ahn So-hee is holding a shopping bag and a big bouquet while smiling. Meanwhile, Ahn So-hee starred in the film "Single Rider" as Yoo Jin-ah.